Listing products on Amazon is an increasingly popular and lucrative business opportunity for retailers and entrepreneurs. Amazon provides what seems like an unlimited amount of potential customers viewing and buying your products on a daily basis. With access to Amazon’s wide network of customers and seemingly endless traffic, eCommerce business owners are often seeking to list as many products possible to increase their product sales & overall revenue. 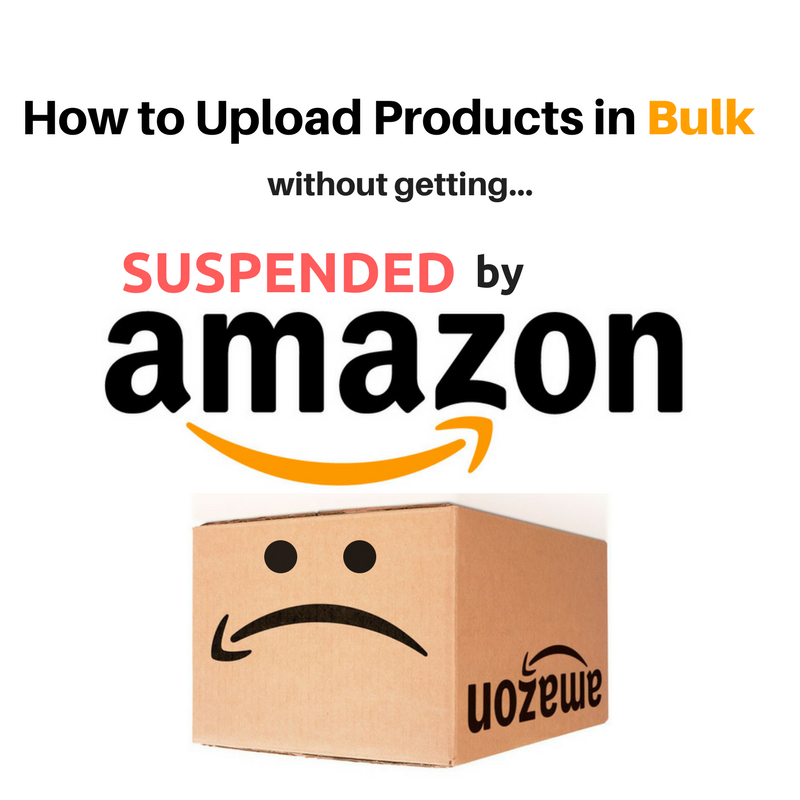 However, navigating the waters of listing products on Amazon can be challenging, and the more products you list the higher the risk you run to having your seller account suspended. Listing in the wrong category, uploading restricted products, matching products to the wrong ASIN, and selling out of stock items can all get you suspended as quick as you can make your first dollar. To help you avoid some of these common mistakes I’ve outlined the key points to consider before listing a lot of products for sale on Amazon. Over the years, Amazon has added many restrictions and barriers to selling specific product types on their marketplace. In product categories that are often referred to as “gated” or restricted categories, Amazon requires documentation and an approval process prior to selling in any of these categories. This can be as simple as providing an invoice from one of your suppliers, or as complex as proving 3+ years of established sales in the product category. The approval process and requirements vary by category. Before listing products make sure you are approved to sell in this category. When you have a lot of products to list, going through the tedious process of uploading them one by one is not very efficient and sometimes not even feasible. This is why Amazon allows you to upload flat files using their bulk upload file templates. In order to upload using these templates on Amazon, you must have an Amazon Professional Sellers Account. Amazon has a fairly helpful article on how to choose your upload file template, however, I’ve outlined a few scenarios to help you decide which template might be right for you. When uploading products you are typically attempting to do one of three things. Upload a product with all its data (images, title, descriptions, etc.) to be listed as a new product listing (ASIN) on Amazon. Match a product you are selling by product ID (UPC, ISBN, EAN) to an existing product listing (ASIN) already found on Amazon. So let’s start with scenario #1, in which you are attempting to upload products that do not already exist on Amazon and do not have a product listing page or “ASIN” assigned to it. In this scenario, you select a “category specific file template”. You will first need to identify the category you are in and download the category file template that best fits the types of products you are selling (e.g. Baby, Beauty, Home Decor, etc.). You will also need to have the full product data such as title, product type, brand name, and more required data outlined individually in each specific category file. In the second scenario where you believe most of your products are already listed on Amazon by other sellers, and you will want to match to an existing product listing (ASIN). This is common in drop shipping or buying common brands/products wholesale and reselling them. 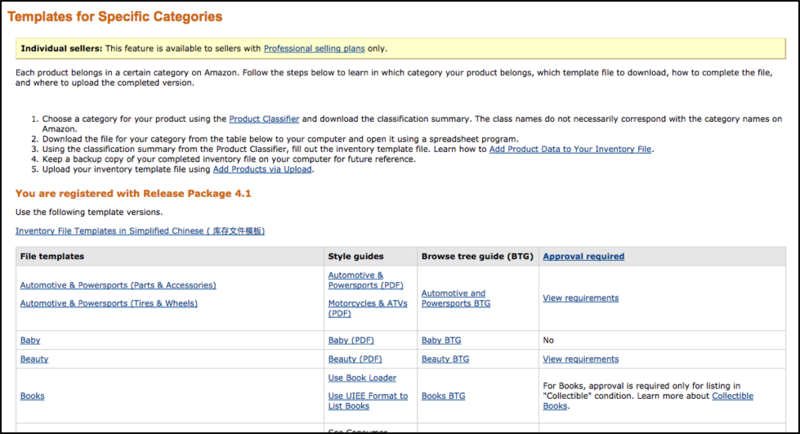 Products are matched by their Product ID (UPC, EAN, ISBN) to the existing ASIN on Amazon and are uploaded using either the “Inventory Loader” or “Listing Loader” file templates. A key benefit to this approach is you can match products with much fewer data in your file. Only core data such as product ID, SKU, price, quantity, and condition are what you typically need to have in your file to be able to list with these templates. Your products will list under an existing product listing that will already have a title, description, images, etc. Finally, in scenario #3, Amazon provides a “Price Quantity” file that is a simple upload template mainly to update your price, quantity, and status of your existing product listings, however, lead times, as well as minimum and maximum pricing, can also be updated. Now that you know what file types are “typically” recommended, I must warn you about what can be referred to as an “ASIN Mismatch” issue. 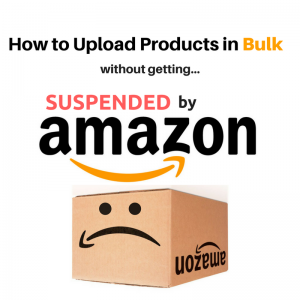 When uploading products in bulk by product ID (typically UPC) to match to existing product listings (ASINs), Amazon can often mismatch these items to the wrong ASIN and thus associate your products with a completely different product listing. The end result is receiving orders for a product you may not have or is priced completely wrong and having to cancel the order. This is a leading reason Amazon seller accounts get suspended. So how do you prevent this? It is discussed in detail in the article Avoiding Amazon UPC / ASIN Issues, however, the quick take away is you should be using a category specific file to match products rather than the listing loader in scenarios where you feel mismatches may be an issue. This “mismatching” is typically an issue where products come in several different sizes or in varying “packs of 4”, “packs of 6”, etc. in which it is common Amazon has multiple ASINs corresponding to one UPC. This is often found in grocery, fragrance, and other categories that have differing “packs” and “unit sizes”. The category specific files are typically used for uploading “new” product listings as mentioned earlier in this article, however they can also be used to match products and if you have products that are in a category that may face an ASIN mismatch issue it is worth checking to see if you have all the data in the file to use a category file and prevent this. If you do have all the data to populate a category specific file, I would recommend using this file to a) match products with matching product IDs to existing ASINs as well as b) create new listings for those that do not have a matched ID to product ASIN…. the category file accomplishes both these. It is worth noting that newer sellers may have limits on how many new ASINs they can create in a given time period and might restrict uploading a large amount of “new” ASINs. When reselling products that are manufactured by other brands you will want to be sure you have the right to sell these on Amazon. Amazon does not provide a “master list” of restricted brands, however, there are a few good third party articles with fairly extensive lists. If you are working directly with the manufacturer this shouldn’t be much of an issue and this conversation should be established with your manufacturer ahead of time. If you are working with large distributors that have hundreds of different brands they often provide some guidance on which brands you can and can not list on Amazon. If you happen to attempt to list products under restricted brands Amazon is pretty good about either preventing these to be uploaded or pulling them down almost immediately. Listing products from restricted brands are not punishable by immediate suspension by any means, however, it is a practice you want to avoid, and repeated attempts could lead to issues with your seller account. If you are listing a lot of products to Amazon all at once, there is a good chance you are doing so because you have been provided a spreadsheet of products (or inventory data feed) from your supplier. In this list of products, you will want to try and do a search the best you can to remove any products that might be considered a prohibited or restricted product. Here is a few example of product types that may be found as individual products in a supplier product feed that you would likely want to remove from your upload. Last but not least… The most important factor to keeping your account from being suspended while managing a large product catalog is to make sure the products you have listed are in stock and you can fulfill customer orders. Repeatedly canceling customer orders is a sure-fire way to have your Seller Central Account suspended. If you are drop shipping from a supplier, the best way to keep inventory in sync is to use drop ship software to automatically update your Amazon inventory with the product quantities provided in your supplier’s drop ship feed. Amazon rules and restrictions have increased over the past few years and are only getting tougher to navigate. These added barriers and challenges are all in an effort to create a better marketplace for consumers and foster a high-quality network of sellers. If you are building an e-commerce business selling on Amazon it is important to know they have the ability to shut down this part of your business at any time. However, if you are willing to take that risk and navigate the Amazon Marketplace, there is a lucrative business opportunity for those that can learn, understand, and adhere to Amazon’s listing policies. Travis Mariea is the Managing Director at InventorySource.com, the dropship automation software that connects your drop ship supplier or warehouse inventory and orders with your eCommerce Website and Marketplace Accounts.